Our Myths of the World: Black Rose Walkthrough will be a valuable vampire hunter's survival guide as you board a Mississippi river cruise in search of one of these deadly creatures who is rumored to have in their possession a rare and ancient artifact that could prove to have devastating consequences in the wrong hands. Refer to our custom marked screenshots, our detailed gaming instructions, and our easy puzzle solutions whenever you feel trapped or cornered by the vampire's cunning powers. In Myths of the World: Black Rose, you'll board a Mississippi River cruise with your partner in order to hunt down a vampire who is rumored to have in their posession an ancient and rare artifact that could spell disaster for the world if used. During your investigation, you'll come into contact with a curious cast of characters - some are just innocent bystanders enjoying their cruise. Others are agents of the creature, bespelled by ancient powers. Can you tell the difference? It just might be a matter of life and death that you do! 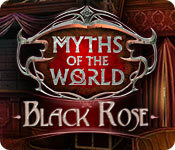 Good thing our Myths of the World Black Rose Walkthrough is ready to defend you when the going gets tough in this particular dark and delicious hidden object adventure game! We've put together five chapters filled to the breaking point with everything you'll need to come out ahead in this vampire hunt. That includes our detailed gaming instructions, tons of custom marked screenshots, and solutions to all the puzzles and mini-games you'll encounter during your investigation. 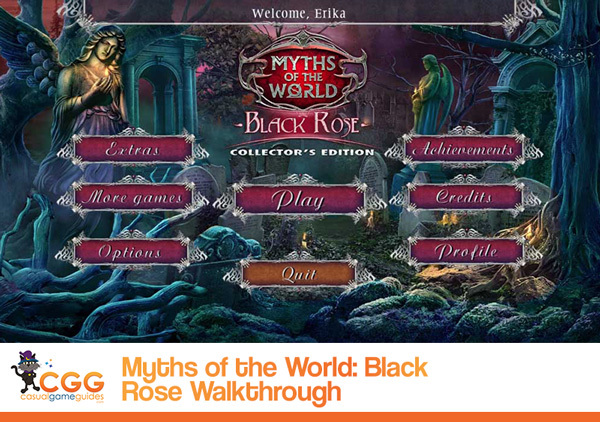 We hope you enjoy this Myths of the World Black Rose Walkthrough!